Streaming and smart TV company Roku has seen its stock rise as much as 16% after it released stellar quarterly showing a boost in its business with the addition of 22 million active accounts in the second quarter with subscriber addition rising 46% while total streaming hours increased 57%. Average revenue per user rose 48% during the quarter now standing at $16.60 boosting Roku's total Q2 net revenue to $156.8 million beating average analyst estimates of $141.5 million. The Los Gatos headquartered company has now raised its full year forecast to $710 million above estimates of $698 million indicating very good growth for its service. Even with this, Roku is facing intense competition from the likes of Apple, Google and Amazon who all offer similar services which has led Roku to expand its revenue sources with the firm now licensing its technologies to television makers along with earning advertising revenue from media companies based on sign-ups for apps on its platform. Roku now close to being profitable also just made its free streaming service available on the web for viewing on tablets, smartphones and personal computers opening its channel to users without Roku TVs or streaming devices, A move aimed at boosting the number of user accounts along with its advertising business. 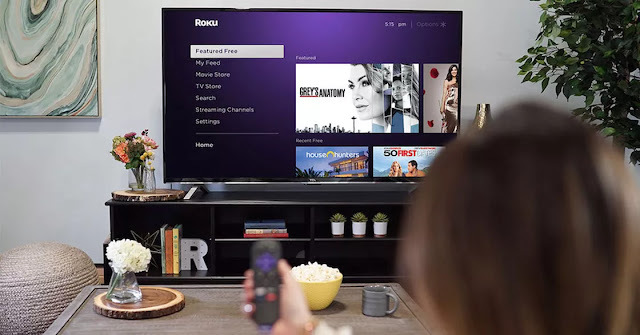 Also notable is that Roku is putting more money into Research & Development with $40.2 million spent for the quarter on R&D which has led to several notable developments for the company including its recently unveiled smart Roku speakers. Even as its bet on audio products are not likely to have much impact on this year's revenues as stated by Roku CEO Anthony Wood, In the long run this would lead to growth in the company's TV market share and boosting of its platform as the smart audio devices are specifically tuned to work with Roku to offer better experiences to consumers.